Utilities make up a sizable portion of every renter’s monthly budget and budgeting for beginners is tough. From sweltering summer afternoons and frigid winter nights, to wasteful water leaks and power-hungry electronics, a number of factors can significantly impact your energy bottom line. While asking your landlord to make repairs or tune up your HVAC system might be a place to start, it could also lead nowhere. Instead, try some “smarter” ways to help cut down your energy costs. Upgrading your home or apartment with the latest smart home technology might not be the first thing on your list, but today’s smart home gadgets can save you a significant amount of money on utilities, all while making your home more comfortable. Here are some key upgrades to consider that can boost your lifestyle and help you cut corners at the same time. Best of all, they are all mobile so you can bring them with you should you move to a new home. One of the first upgrades that many renters make is switching to a smart thermostat. (Just make sure it’s permissible with your landlord or property management company first.) Not only are smart thermostats affordable and extremely convenient, but they can immediately save you significant money on your monthly power bills by using smart scheduling and weather-based heating and cooling. Whereas the programmable thermostats of the past were difficult to use, today’s smart thermostats can be controlled remotely with a smartphone or tablet, and most quickly learn your family’s schedule and temperature preferences. You’ll enjoy changing the temperature from the comfort of your bed, or from miles away as you leave the office, and your bank account will appreciate the up-to 20 percent reduction in your monthly electric bill. It’s a small upgrade that makes a big difference. Lighting is a major portion of your daily electricity usage, so making a switch to a smarter, more efficient lighting system is an upgrade that has immediate effects. 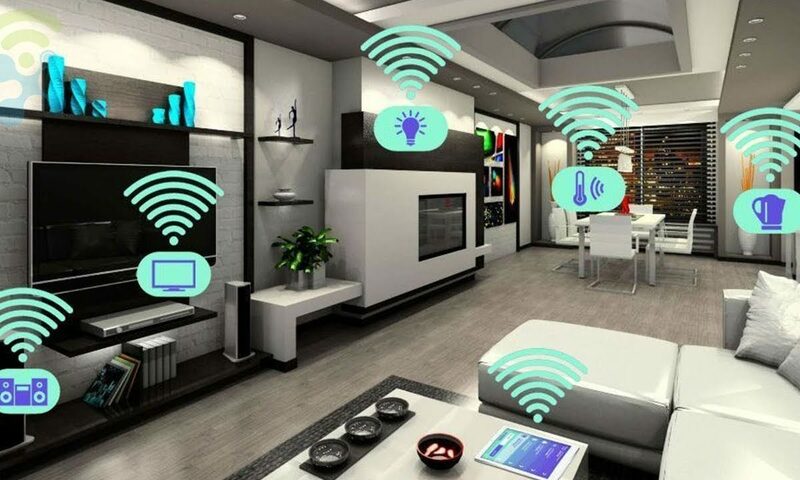 Today’s smart light bulbs and accessories integrate power-efficient LED lighting with Wi-Fi connected smarts that can transform the look and feel of every living space. If you connect them to a smart home hub, where you can control all of your integrated smart devices, you can change dimness settings, color tones, and even set up lighting rules that can automatically set the mood in your home and shut everything off when you’re away. Using only what you need, when you need it, results in less wasted energy … and money. LED-based products typically use less than 20 percent of the energy of their incandescent predecessors, and when you combine those savings with smart light scheduling, you’ll find a significant decrease in your monthly energy usage. As you switch your biggest energy-drainers over to their smart and connected counterparts, don’t forget to evaluate your home security setup as well. In many cases, a couple of WiFi smart cameras is all you need, which the local internet service provider may be able to offer. Today’s smart security setups are powerful, flexible, and many allow you to self-install. One final money-saver to consider are smart sensors. These add-ons can be used and are usually included in the smart home security hub offered by a local internet service provider like Xfinity Home. From monitoring energy consumption from every power outlet, to detecting water usage (and leak emergencies), these sensors can be a valuable partner in discovering where both power and water are being wasted every month. Research what sensors and add-ons are available for your smart home hub or security system, and consider investing in a few to place in strategic locations around your home. Purchasing a few smart home products might feel like a fun upgrade, but it’s also one of the best ways to save your family money every month. Installing the right thermostat, lighting, and sensors can go a long way toward making high utility bills a thing of the past. For the most value, consider bundling your smart home automation services with your internet service to get the best deal. Some internet and cable companies can provide home security and home automation packages as part of their services at discounted rates. All in all, whether you’re saving money through cutting costs on your utilities bill or using a money saving app (check out this Acorns review), you’re well on your way to saving for a better future.